Synopsis: After a hunting expedition during the Upper Paleolithic period goes awry, a young man struggles against the elements to find his way home, all the while developing a friendship with a gray wolf. This forges the tentative first bond between man and canine. Review: Release dates are tricky things when it comes to movies. Studios look at a calendar and date films for release hoping that no other similar flicks lock in the same/near date to avoid major competition. Place your movie on the wrong date and what was supposed to be a financial hit turns into a movie that appears at your local Redbox that much faster. Alpha has been through several release dates, pushing the film back almost an entire year from its originally intended 2017 debut. Usually, a fluctuating release date spells trouble for the film, as the studio doesn’t know how to market it or has little faith in it but in the case of Alpha I can see why timing was everything for it to see the light of day. It’s not really a summer blockbuster or an end of the year awards contender, and its price tag would suggest that it wasn’t one that could just be dumped into theaters with little fanfare. So Sony has decided to set Alpha free at the tail end of the summer when most of the big dogs have come and gone and hope for some scraps from audience members. 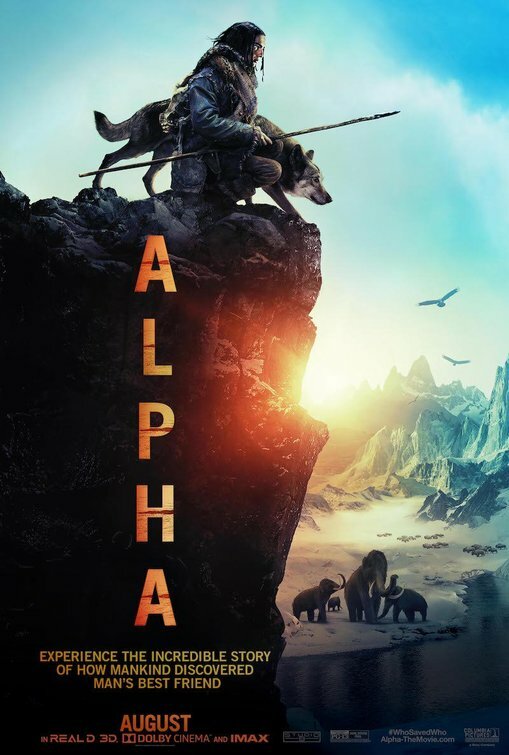 A late-breaking controversy in the past few weeks from PETA regarding some questionable animal handling hasn’t helped the film and that’s a shame because Alpha is a surprisingly moving bit of filmmaking with breathtaking scenery and its heart squarely in the right place. The first thing you should know, and which trailers have played incredibly coy about, is the entirety of the dialogue in Alpha is spoken in an ancient language and subtitled in English, translating the words spoken by a primitive tribe in Europe over 20,000 years ago. 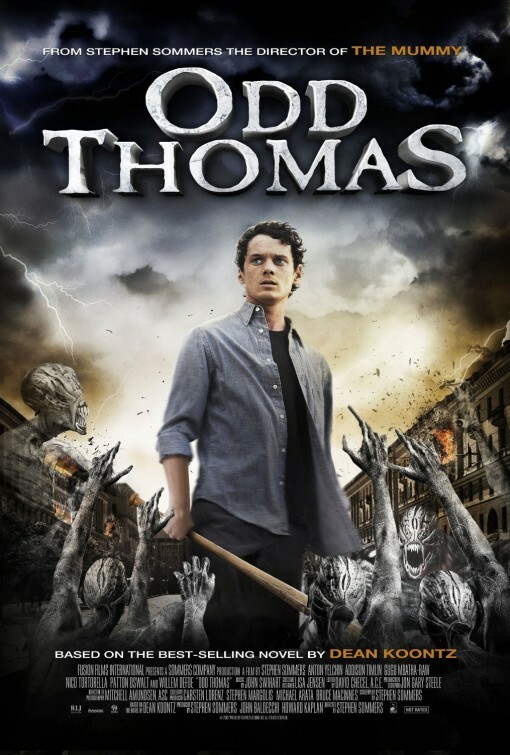 It would have been much easier for director Albert Hughes and screenwriter Daniele Sebastian Wiedenhaupt to nudge this into familiar territory and have everyone speak in English with a vague British accent but everyone goes full out here and the result gives the film its first dose of authenticity. It also could alienate families bringing in young children on the premise this is going to be a routine boy and his dog tale…it’s anything but. Alpha is first and foremost a tale of survival against the elements, an intense journey of self-discovery for a boy just becoming a man. The son of a chief, Keda (Kodi Smit-McPhee, X-Men: Apocalypse) is a sensitive soul that struggles with taking the steps toward adulthood that are expected of him. His father (Jóhannes Haukur Jóhannesson, Atomic Blonde) wants to protect his only son but e recognizes he must educate him as well. Taking his son on their seasonal bison hunt hundreds of miles away from their home, he hopes to teach him the ways of his ancestors and give him greater strength. When an accident separates Keda from his tribe, he is forced to grow up fast as he fights the elemtents (both natural and animal) to make his way home. Along the way he befriends a gray wolf and develops a bond that will set the stage for future generations. There’s nothing monumentally deep to the story that Alpha seeks to tell and the film reminded on more than one occasion of the type of adventure film Disney might have released in the late ‘70s and early ‘80s. Attempts to somehow tie the tale to the “origin of man’s best friend” aren’t as successful because the movie isn’t solely about that connection. It’s Keda’s story through and through and though Alpha (the name he gives the dog) becomes an important piece of that tale it’s ultimately about an internal maturity that develops within the boy as he treks across land and rapidly changing seasons to reunite with his family. What pushes the film into recommended territory is the filmmaking and performances. Hughes and cinematographer Martin Gschlacht (Goodnight Mommy) go for an epic scale and the achievements are breathtaking. I saw the film in IMAX 3D and Alpha makes one of the strongest cases in recent memory to shell out the extra money for this premium experience. The vistas are rendered through a mix of CGI and natural scenery from locations in British Columbia and the unobtrusive 3D provides a wonderful depth that actually enhances the visuals ten-fold. Smit-McPhee has had numerous successes on screen in his ten year career but this is a definite high point. Tasked with carrying much of the movie along with his canine co-star (also a mix of CGI and real dog), Smit-McPhee doesn’t say much throughout the film but conveys much emotion with his physicality. As the film progresses and the expedition gets more difficult, the young actor helps to relate the desperation and doubt his character begins to feel as more and more roadblocks emerge to prevent his safe arrival. As Keda’s father, Jóhannesson gives great emotional weight to a role that could just as easily have been a staid macho Neanderthal. Chances are Alpha is going to get lost in the hustle and bustle of these waning summer weeks. If it’s showing in your neck of the woods in IMAX, in 3D, or better yet in IMAX 3D I’d strongly encourage you making the effort to see it. My advice would be to leave young kids at home but anyone older than 11 would be a good companion for this one – it’s worth your time.